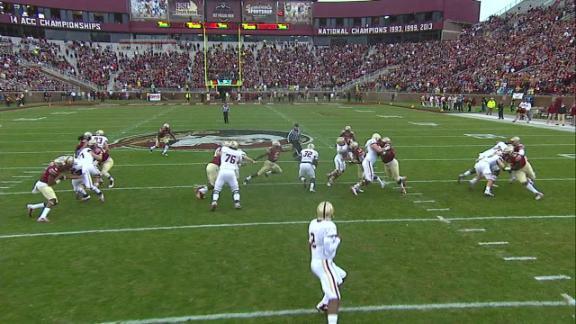 BC gave FSU all it could handle. Frosh RB Hilliman #32 would have looked great in Rutgers' Scarlet. There weren't a ton of crazy games this weekend but we can safely say that Florida State is a very risky bet if they make the playoffs. These guys find a way to put themselves in a hole every single week and continue to manage to pull themselves out but they do not play four good quarters and the teams that make the SKOHRboard Top 4 certainly do.